There is nothing that will warm you up faster on a -16° Celsius night than a warm cup of wine. Well, I suppose I could think of one other thing, but certainly not in the middle of a crowded city square. 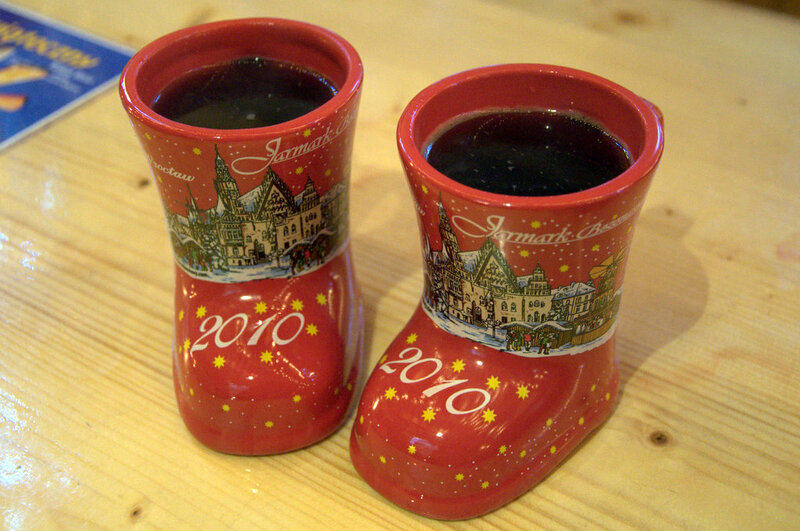 Mulled wine, or Grzaniec as it is known in Poland, originated in Germany and dates as far back as 1420. 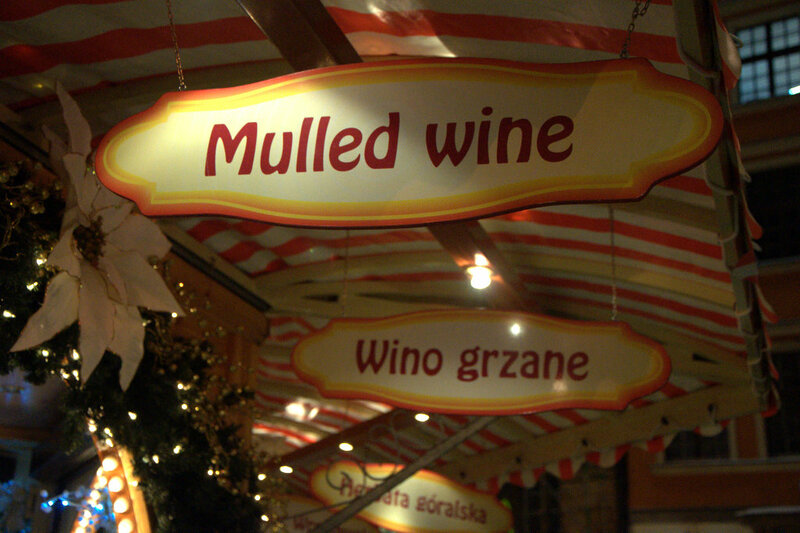 Glühwein in German, Glögg in the Nordic region, Navegado in Chile, “boiled wine” in Romania, and “heated wine” in Bulgaria, it all pretty much points to the same warm wine with the difference being in the spices used to make the beverage. Preparation is the key to a tasty mulled wine; get it too hot and alcohol will evaporate away, and if it’s not warm enough spices won’t mix properly and you’ll be left with a batch of bad tasting lukewarm wine. 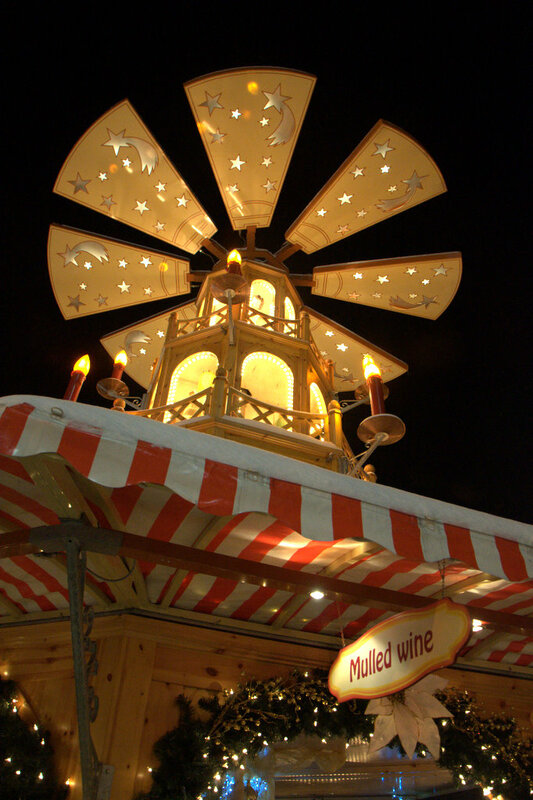 However being a country that knows a thing or two about making alcohol, we’ve got six different flavors of mulled wine being served all evening long at Wroclaw’s Christmas fair. 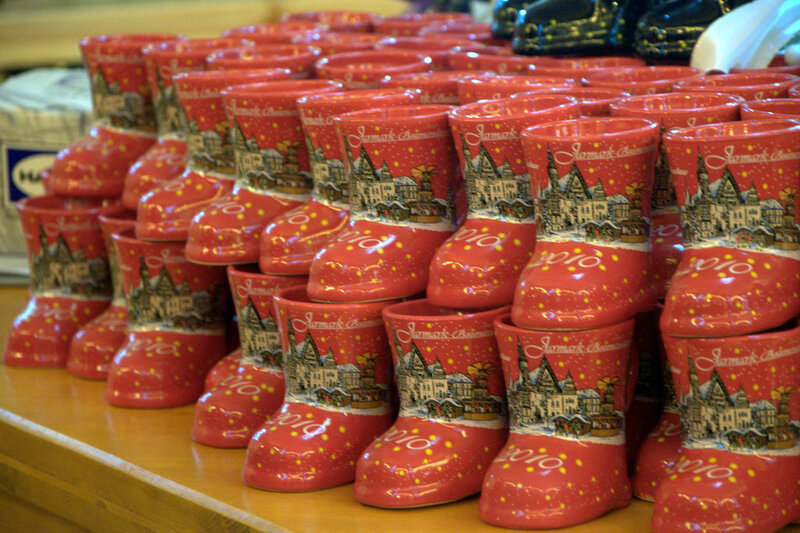 Sold in very classy Wrocław Christmas Fair mugs, the wine ranges from 8 to 10 zlotys a cup ($2.60) plus a one time fee of 10 zlotys ($3.30) as a deposit for the mug which you can get back after finishing your wine. In reality though everyone keeps their mugs; most to speed up refills, and some to keep as souvenirs. 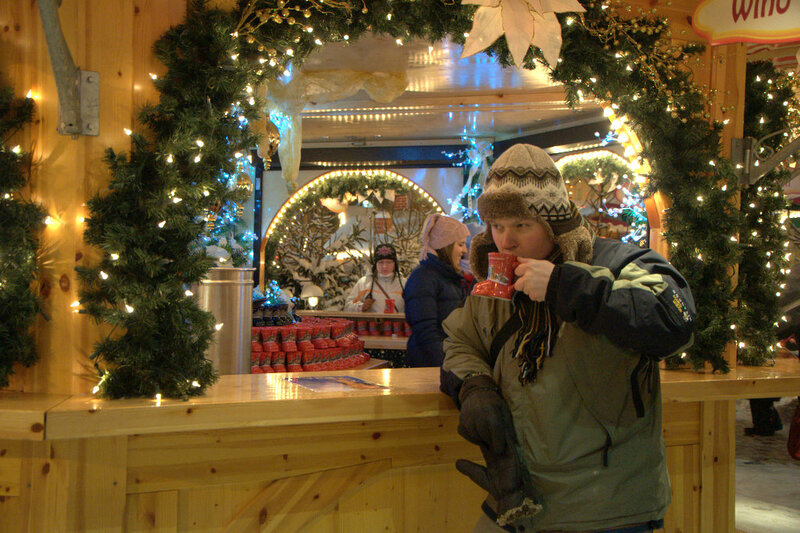 I did go back for a couple of refills, but we also kept our mugs to serve our very own mulled wine at home. We already bought a bag of spices and have a bottle of wine waiting for that cold winter evening at home, where wine will not be necessary to keep me warm, but only to set the mood. High ISO mistakenly set by yours truly is the reason for grain on some of the photos below, but they’re still viewable.